Chasing Proverbs 31: Happy Valentine's Day! Hope you had a happy Valentine's Day, Eleanor! Did you get my valentine? 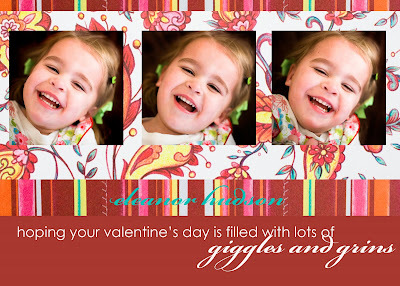 We love your valentine pictures! You're just beautiful!!!! We love you very much! Happy Valentine's Day to you as well!! Such a cutie! Happy Valentines day to you too!! Hope you had a great Valentine's Day! I just love your card!! Okay girl...time for a new post:) Is is your hubby home yet? Or are you guys in Cali? Have fun. Ok, why the stop in blogging?? Are you alright?